There aren’t many things cuter than a smiling baby. And all those tiny teeth are as essential as they are adorable. A 2016 study by the Hawaii State Department of Health reported that Hawaii has the highest rate of pediatric tooth decay in the United States, affecting 71 percent of third graders, compared to the national average of 52 percent. So how can you help your kids take care of their teeth? 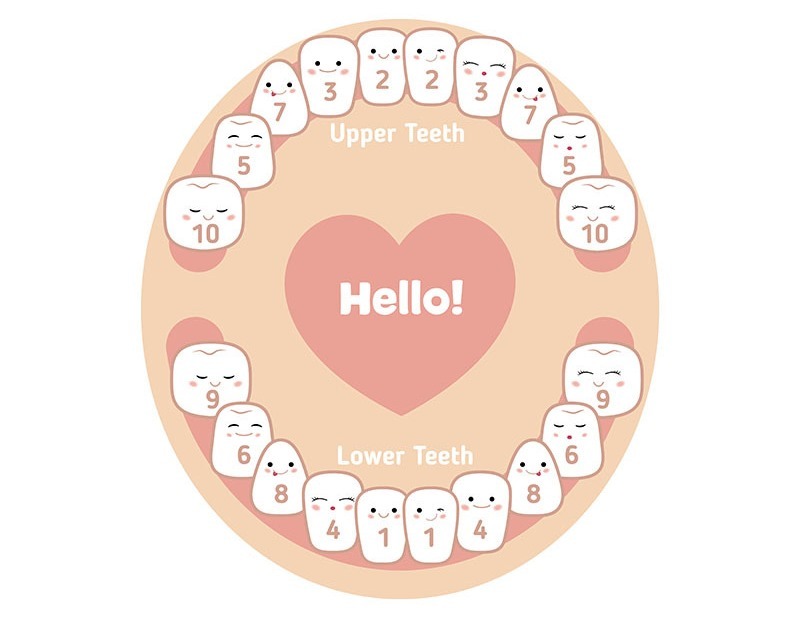 - By the time most children are three years old, they have a full set of 20 baby teeth, also known as primary teeth. It’s time to start brushing as soon as the first tooth pops through the gums. - Kids under three years old should brush twice daily with a fluoride toothpaste. You don’t need much— no more toothpaste than the size of a grain of rice. For keiki ages three to six, a pea-size amount of toothpaste is recommended. - Children should have their first dental visit around 12 months and begin flossing daily as soon as two teeth touch. It might seem like keiki teeth don’t matter because they fall out, but as soon as teeth make an appearance, there's a risk of decay. Baby teeth help your child chew, speak, and smile and they hold the space where adult teeth eventually grow. Starting our keiki off with a good dental routine keeps their smiles bright and prevents painful dental and emergency room visits. Doing this work when they’re young sets your kids up for a lifetime of healthy habits. Need help finding a dentist? We can help you find one in your network.